Recently we covered a post where we showed you how to Create Free Wi-Fi Hotspot on Windows 10. Now after you have created a Wi-Fi Hotspot in Windows 10, you need to share your internet connection with it. So that those users who connect to the hotspot can browse the internet. 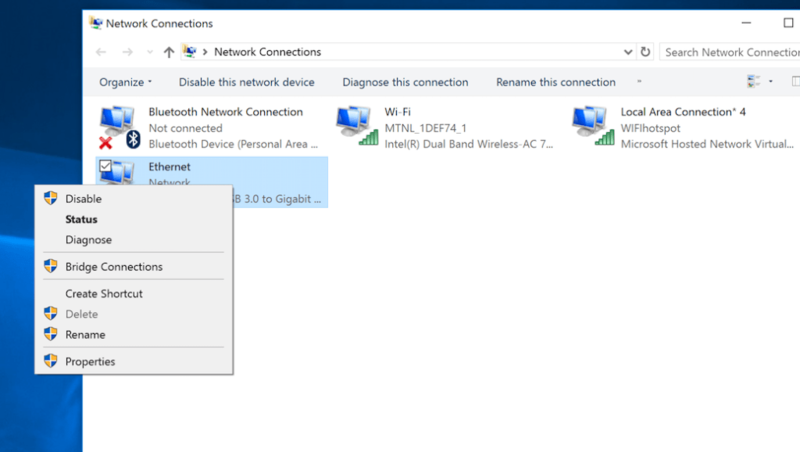 Unlike Mobile hotspots created in smartphones, in Windows 10 the internet connection does not get shared with the Wi-Fi hotspot by default. You need to share the internet connection with the hosted network manually. 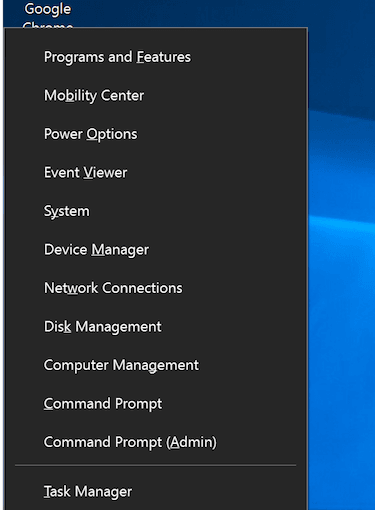 If you don’t share the internet connection with a hosted network, you will get “No internet connection” problem on the device you try to access the internet with the Windows 10 Wi-FI hotspot. 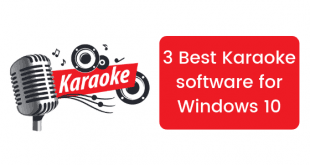 So, let’s get to it and learn how to share your working internet connection with the hotspot you created on Windows 10. The first thing you need to do is open Network Connections. 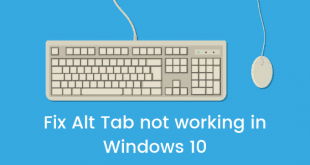 Do do that press the Windows + X keyboard shortcut and select Network Connections option. Also, note that once you have started the hosted network a new network adapter by the name Local Area Connection*X will be there. It is the virtual hosted network that you have created and wanted to use as a Wi-Fi Hotspot. 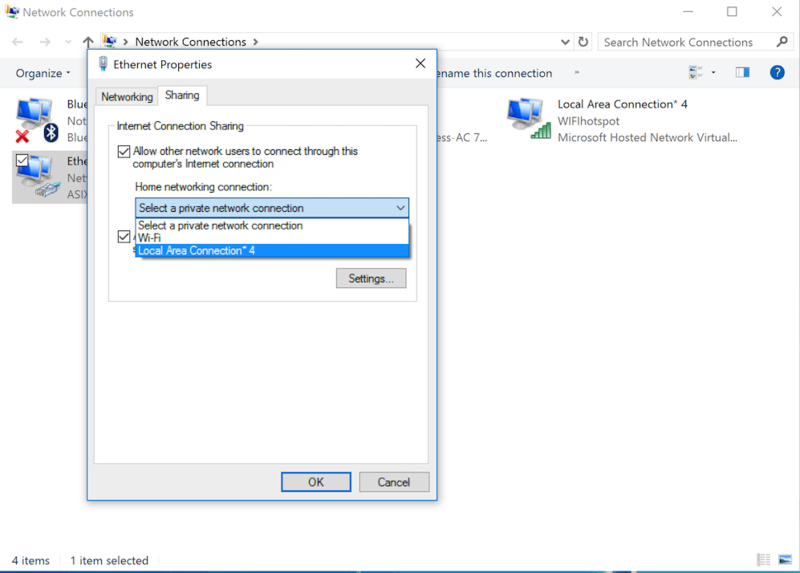 Now in the Network Connections window, right-click on the network adapter which has an active internet connection and select properties. In most cases, it should be the ethernet. Click on the Sharing Tab in the Ethernet Properties Window. Now you need to check the “Allow other network users to connect through this computer’s Internet connection” option. Select theLocal Area Connection*X in the Home networking connection drop-down menu. This will share the active internet connection with the hosted network you created. Finally, click Ok to save changes. That’s it. Now you have successfully shared your internet connection with a Hosted Network in Windows 10. Now you will be able to access the internet on any device connected to the Wi-Fi Hotspot you created in Windows 10. 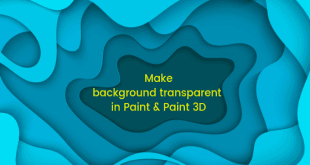 Hope you will find this tutorial useful and in case of any queries, feel free to drop a comment below.